They should've taken the whole page, there's another ad down there that says "boom". Where have i heard that before?.. 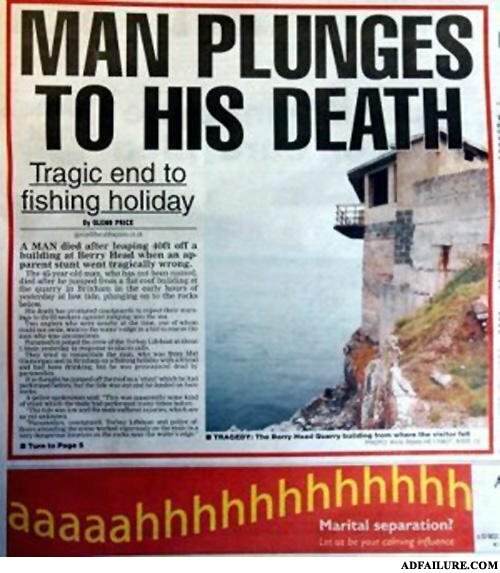 That editor is quite the comedian. That's one way to fix it!!! The dead person would approve. Why did the child drop it's lollipop? Because they got hit by a bus.